Last week’s episode of the consistently excellent documentary ‘Inside the Commons’ focused on the work of the whips, who enforce party discipline within their Parliamentary parties, without which it would be very difficult to govern or to have a working opposition. In among those whips was Jenny Willott, the Liberal Democrat MP for Cardiff Central. The most striking feature of Willott’s part in the programme wasn’t her work as a whip, but rather her situation as a mother or two boys whilst trying to be a good MP. The programme suggested this is almost impossible, and left me wondering if the way Parliament works really can continue without change if we want our politicians to be able to have a stable family life. Every morning, Willott drops her two boys at the House of Commons nursery, the provision of which at least is a start. She spends her day at her job, then has to go and collect her kids, bringing them up to her office, where her husband and her eat dinner with them whilst she waits to do whatever work then awaits. Sometimes, though, her husband isn’t there. The programme was showing the farcical events of the day when the Government tried to have a vote on the European Arrest Warrant without any mention of it on the Bill, and so Willott was required on a three line whip to vote because ta Labour had tried to derail the non-debate by invoking a rarely used procedure to ask that “the question will not now be put”. 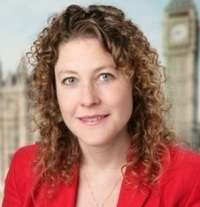 So we saw Willott carry her less than two year old child down to near the chamber, plonk him, crying, on the lap of a young man in the Lib Dem whips office, then run off to vote. This was a vote at 8pm, but many votes in the House of Commons are at 10pm. Willott is resigned to this procedure, but it is still not something any parent really wants to have to do. There have been attempts to redesign the workings of the House of Commons to make it more family friendly, but they were derailed by opponents who felt that not enough would get done. Chris Mullin, the Labour MP and author of three excellent diaries of his time at the Commons, complains in one of them that given he is away from his family for the weekdays, he sees nothing wrong with stretching out the workings of the place for the whole day. That’s all very well, but, and I acknowledge I could be accused of sexism here but we haven’t yet had the culture change needed for me to think of any other way to talk about this, we won’t get gender equality in the House unless changes are made to the working hours. To see Jenny Willott bend over backwards to try and be a good mother whilst fulfilling her duties of her job was quite heart-rending, and I wonder whether it really has to be that way. Sadly, or happily for Willott depending on your point of view, she is unlikely to have to make these compromises for long. Her seat of Cardiff Central is very likely to be lost, given she won it because the constituency contains one of the highest percentage of students in the country at a time when the Lib Dems still had their ill-fated pledge to abolish tuition fees. The current electorate there will not give her credit for actually resigning her position as Parliamentary aide to Chris Huhne rather than vote for the tuition fees raise, as they weren’t students at the time. So Willott, who has never done anything BUT politics in her life, will probably have to go back to finding other things to do. Looking at her career to date, and seeing her as ‘Inside the Commins’ portrayed her, it shouldn’t be difficult.